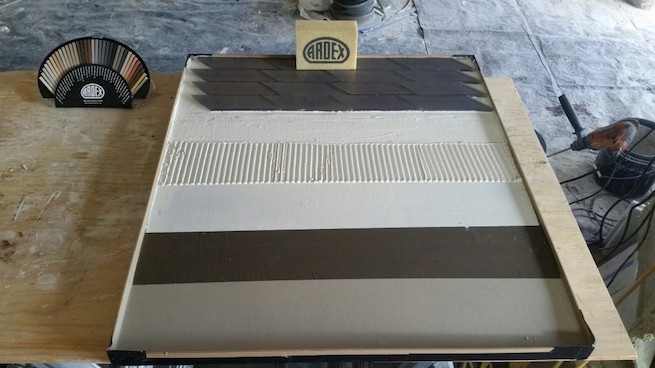 Area Floors has Ardex – a full line of tile installation & stone installation products. An industry first high-performance Portland cement-based self-leveling underlayment for use over interior wood and concrete subfloors for the installation of tile and stone floors….and it does NOT require lath mesh or additives. It’s simple, just prime the substrate with ARDEX P-51™, mix the ARDEX Liquid BackerBoard with water and pour for a smooth, flat and durable surface. Perfect for tile and stone installations and provides the ultimate surface for the installation of large format tile. You’re walking on it in 2 to 3 hours and laying tile flooring in just 6 hours!